I wanted a dark green baffle, so, before assembling the baffle, I spray painted it dark green with a paint that was compatible with plastic. I've had the baffle up for a couple of months and no paint has come off. I've had these before and they really work well. Does not last long in cold weather. It gets brittle and cracks. I try to keep these on hand. The squirrels will not leave my bird feeders alone. and this really helps. I've ordered these several times! They protect my bird feeders from the larger "bully birds" AND protects the seeds and nuts from the weather! We've had 90+ degrees in the summer and -20 this winter and these haven't failed me yet! Such a great deal and they work great! This is the third time I've ordered these squirrel baffles. 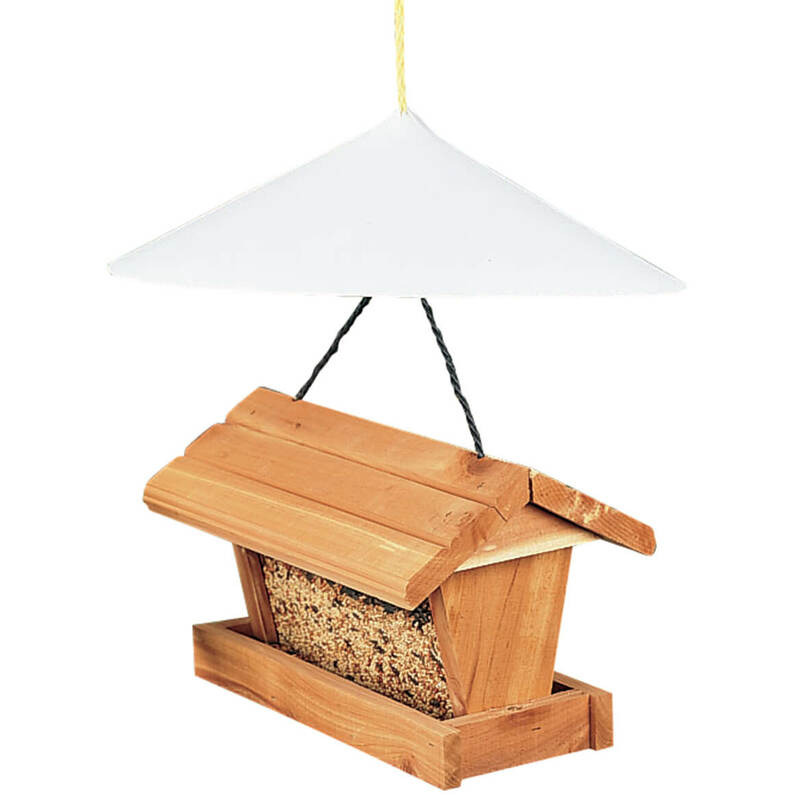 They also work well as a protector over bird feeders to keep seed clean and dry from rain too!!! I'm hoping they work through our cold Midwest winters!!! Because it helps keep the squirrels out of my birdfeeder. Squirrels keep eating all the bird food. These work! I purchased one to put on my shepherd's crook pole. Assembly was easy and it fit the skinny pole well. I am now purchasing a second one for my other pole. Watching the antics of squirrels is fun entertainment, but I am fed up with them scaring my birds away. Birds rule my yard!!! Squirrels getting into my bird feeder, so trying to keep them out. Too many squirrels in my feeders! I've used many times before and keep reordering! This item works for more than just keeping squirrels away (though it works very well for that)!!! To keep tiny red squirrels off the pole to my feeders! 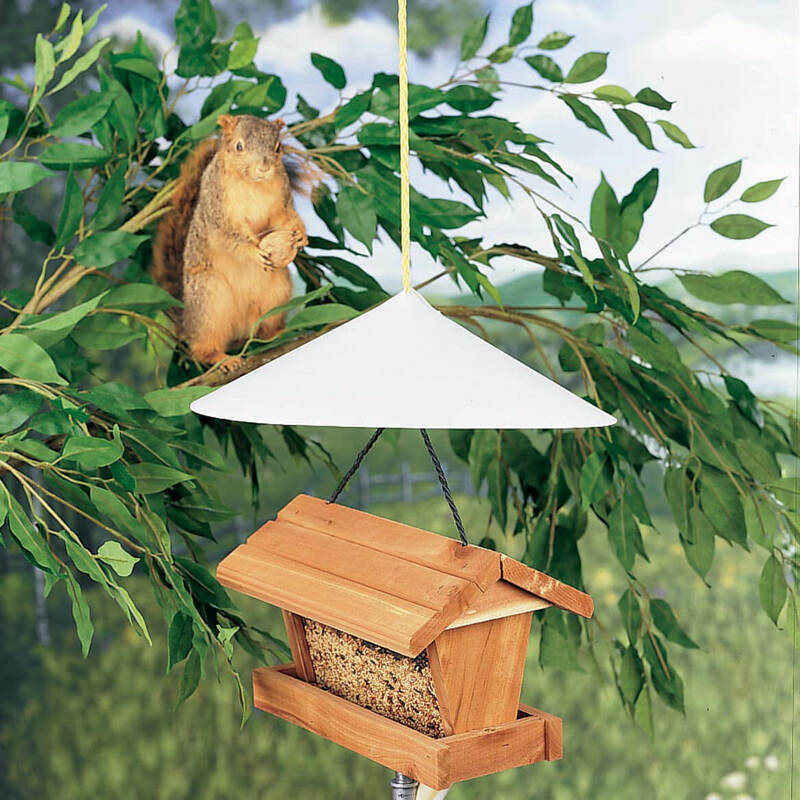 I need this baffle to keep the squirrels away from my bird feeders. I'm hoping it does the job!! Seems incredible easy to use. Looking forward to receiving delivery as soon as possible. 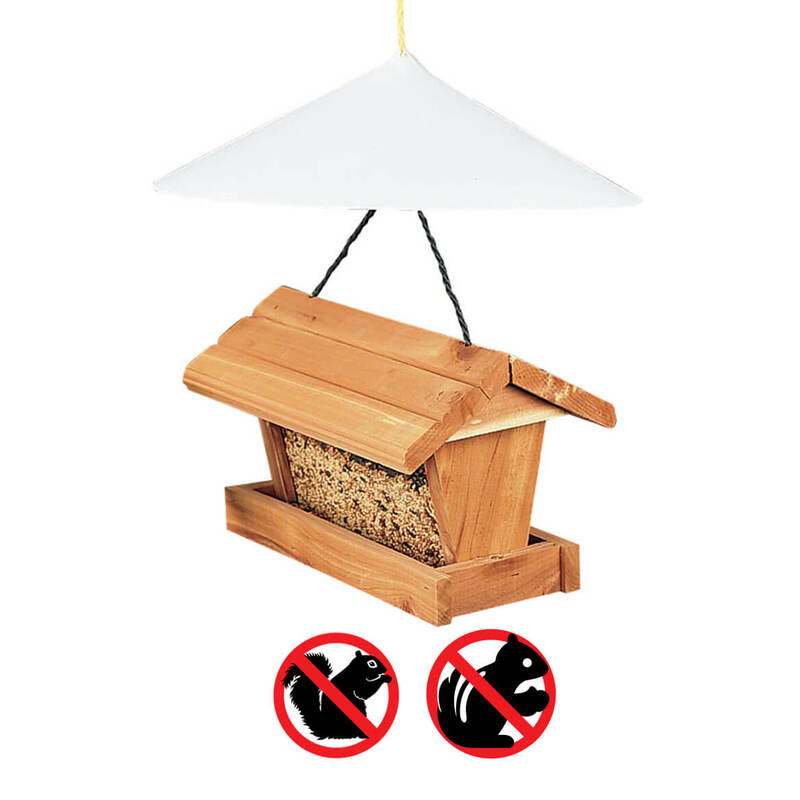 My husband wanted this, because our bird feeder is over-run with squirrels! We like them, too, but we want to feed them in a separate feeder! Thanks! WE HAVE USED SIMILAR OR THE SAME TYPE OF BAFFLE AND THEY WORKED AS PROMISED. VERY HAPPY WITH THEM, DUCT TAPE IS HOLDING OUR OLD ONES TOGETHER UNTIL THESE ARRIVE, LOL. Keeps squirrels out of bird feeders. I've been using this item for a number of years. Good product. It works well not only to keep squirrels out of my feeders, but also keeps the rain out! When I hit submit after i put in my payment method it disappeared. Did my order go through?